Lena Duchannes is unlike anyone the small Southern town of Gatlin has ever seen, and she's struggling to conceal her power and a curse that has haunted her family for generations. But even within the overgrown gardens, murky swamps and crumbling graveyards of the forgotten South, a secret cannot stay hidden forever.Ethan Wate, who has been counting the months until he can escape from Gatlin, is haunted by dreams of a beautiful girl he has never met. When Lena moves into the town's oldest and most infamous plantation, Ethan is inexplicably drawn to her and determined to uncover the connection between them. In all my 19 years, of all the vocabulary I have acquired, I don't think I possess the words that could describe how much I loved Beautiful Creatures. Of the meager words that I have under my belt, the ones that I would use to convey the feelings I felt while reading BC and well after I was done would be limited to OMG, that was fan-freaking-tastic and I need more stat!. I am about to die of excitement. This is one of the most amazing books of the 21st century that I have read. 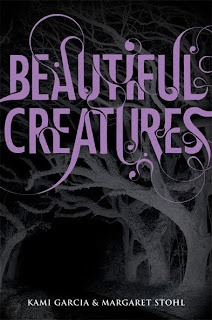 Beautiful Creatures is one of those books - the must haves on your library shelves. Ms. Garcia & Ms. Stohl do a wonderful job of mixing American Culture and present day mentality of teens to create something different, but something so delectable, you can't resist it. In the span of 576 pages, Ms. Garcia and Ms. Stohl deliver a book full of twists and turns so minutely controlled that not one page goes by where the reader doesn’t try to anticipate what comes next. 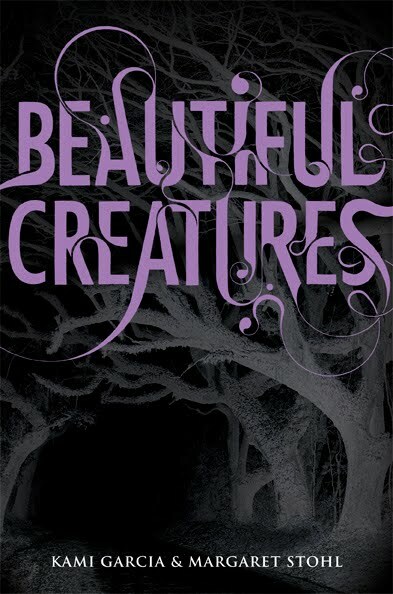 Beautiful Creatures is well-crafted, detailed, giving away just what is necessary to keep the reader hooked. This mind-blowing book is written so beautifully like intricately carved wood that it takes a certain kind of mind to appreciate its beauty. The congruence of the contemporary and the past is as articulate and seamless as though it was all one occurrence. The concept of the Mortals and the Casters and their world is unraveled in quite a way where not too much information is thrown at you but you crave more nonetheless. It is fascinating- not quite the same paranormal action you’d see in a book. Full of depth, Beautiful Creatures gives us 500+ pages of non-action packed verbal action that boggles the mind. Same goes for the plot that is quite unique and not something run-of-the-mill. The main characters Ethan and Lena, two high school teenagers in love, who against all odds remain together, are perfectly rounded. Their families are tied back to the Civil War Era and it’s not known to them until the secret is revealed and the mystery then unfolds. The book, which is told from a male POV, is even more striking with its Southern setting in the town of Gatlin where everyone knows everyone’s secret. The male POV is a refreshing change and a success. Ethan and Lena are not unlike normal teenagers. Ethan wants nothing to do with Gatlin and living in the same town where nothing had happened for more than a century felt very binding to him. Enter Lena, a girl who wants a normal life on account of having not lived anyplace for long. A girl who wants to experience every trial and tribulation a teen girl has to go through. A girl who wants to experience every single nuance of teenagedom from going to school dances and craving approval from the popular kids. Ethan can’t think of leaving town with the new girl haunting his dreams and the inkling of something new and deep. He decides to stick around and try the something new. And the rest is history. Or rather BC. And so it goes. Or rather parts. I love the incorporation of American writers in the forms of quotes or aphorisms. Being a Lit major, I’ve read my fair share o American Lit, and I have to say that I’m not a huge fan; whereas BC made me sit up and take notice of the rich aspects of American Culture that were interspersed through it. “What is the opposite of two? A lonely me, a lonely you.” ~Richard Curtis. “Three can keep a secret I two of them are dead” – Benjamin Franklin. “The best way to find out if you can trust somebody is to trust them.” – Ernest Hemingway. This is what got me hooked: There were no surprises in Gatlin County. We were pretty much the epicenter of the middle of nowhere. An English teacher named Mrs. English? Oh yeah. I was hooked and then some. My favorite character: Characters rather. Again. Amma and Macon. I can’t quite explain it. They had the whole protector thing going but it wasn’t quite that. Cruor pectoris mei, tutela tua est! Blood of my heart, Protection is Thine! Over the past 5 months, I’ve begged and borrowed this book from quite generous friends so I could read and re-read this book to satisfy my “craving”. I finally found the book one day on an unscheduled Strand trip. I am so so glad I went because now I can randomly open the book at times and look up my favorite parts and read them again. In conclusion, all I'd like to say is Beautiful Creatures is a book that not just a teen but any reader, any age, can pick up and enjoy. This deliciously magnificent book is just awe-inspiring and there is not much I can say except that it's a book that you won't regret spending time reading! It will leave you dumbfounded with the feeling of something clogging your throat and your jaw being in the clothes of something impenetrable. PS. I know the review lacks lots because there is no way I could write an absolutely amazing review without it being spoiler free. So I’m sorry! I can't really gush about this book enough. I loved every part of it, the Southern history/backstory, the characters, the otherworldly plot...all of it was fantabulous. I'm anxious to read the second but know we're going to be waiting awhile. Fantastic review! I'm just now starting to read my copy (in between some books for review), and loving it!